Often times, I try my best to include links of where I purchased my materials and supplies for my DIY projects. Though many items are available at big box stores, the truth is, some items are rare and I find myself having to dig through local, privately owned shops or specialty online shops like Etsy. There is also another challenge when it comes to purchasing DIY materials, many times you’re also required to purchase items in bulk. Now, it’s a non-issue for a frequent DIY-er or crafter like myself. I don’t mind having an abundance of supplies on hand, but for the average DIY-er who only wants to make a specific item, having to purchase materials in large quantities can be discouraging. For a limited time only, during Designher Kit‘s launch period, these kits are available for pre-sell at a discounted price – Designher Kit one month subscription from $19 to $16, DIY Starter Kit from $29 to $26, etc. Pre-Sell is available on Indiegogo. Kits will start to ship in January 2014. I had the distinct pleasure of meeting Dara and tried out the a DIY project from the kit myself at the media launch of Designher Kit earlier this week. The kits are super cute and I can’t wait to dive into the the next ones. 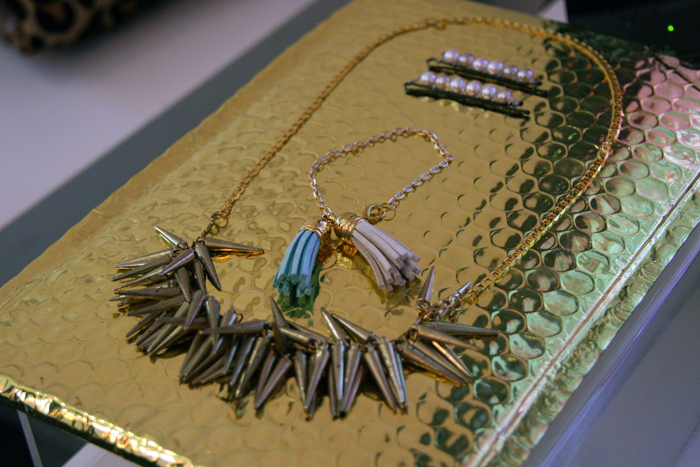 How do you like my sparkly DIY spiked bracelet?! If you love to Dream. Create. Inspire. 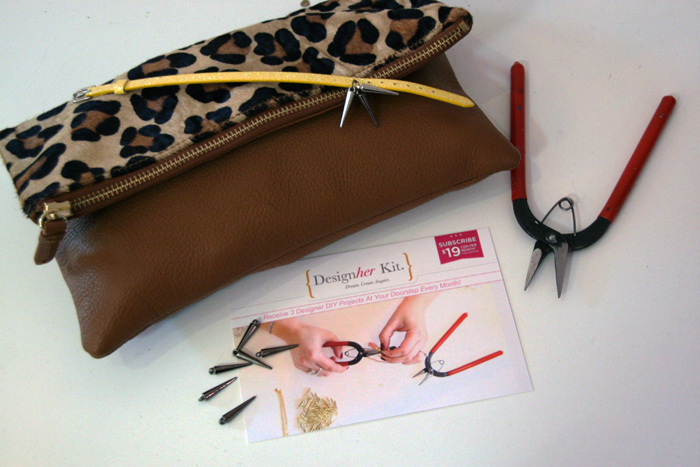 I truly urge you to support the launch of Designher Kit and continue to create the DIY movement!